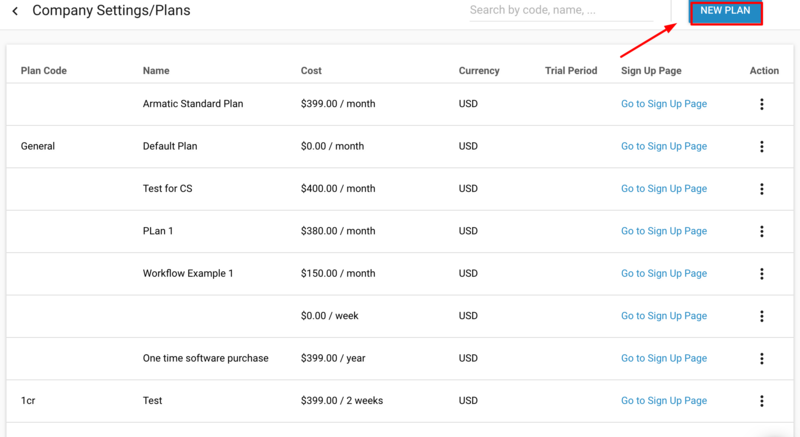 Think of Plans as subscription template or type. 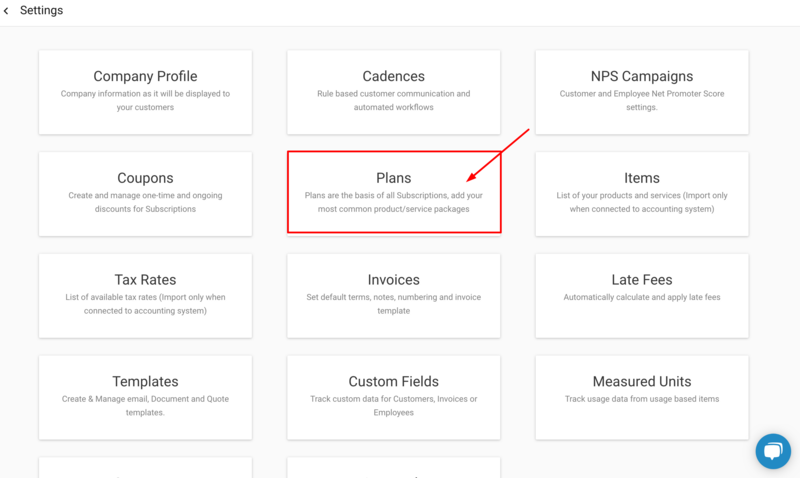 While each subscription can be 100% customized, it starts with a "Plan"
Nearly every business that offers subscription/recurring billing has a concept of a plan. Think of the various plans offered by your cable provider, mobile phone carrier or online software like Quickbooks Online, they all offer different plan levels or levels of service (i.e. Bronze, Silver, Gold), an Armatic subscription functions the same. Navigate to "Plans" under "Settings". Next, you will see any plans you've already created. 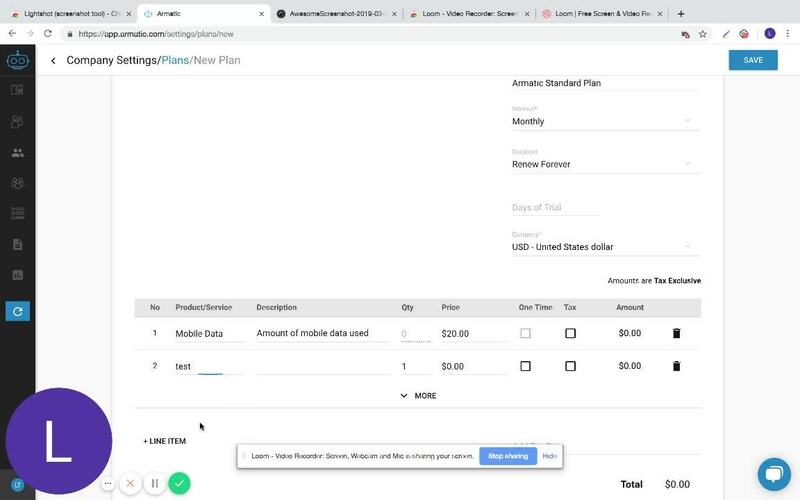 Click "New Plans" in the upper right corner. Days of Trial - The trial period is a period the period of time after the subscription is active but no invoices have been created yet. Once that's done, you save the plan using the "save" button in the upper right corner.